On November 7 Minister of National Defence Raimundas Karoblis met with Secretary of Defence of the United States James Mattis in Helsinki, Finland. 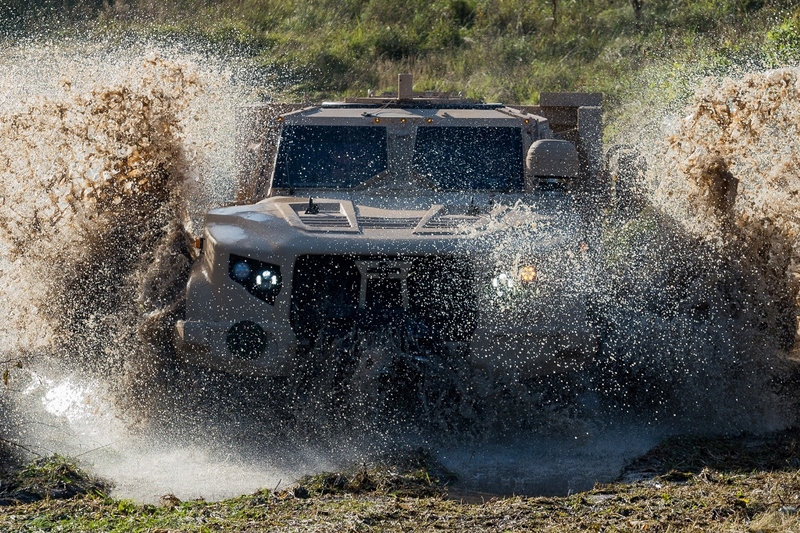 He notified Defence Secretary J. Mattis on the decision of the MoD Defence Recourse Council to contact the U.S. Government regarding the possibility of buying Light Combat Tactical All-terrain Vehicles (L-ATV) manufactured by Oshkosh Defence. If the U.S. Government approves the request, Lithuania’s order will be delivered on together with orders of the United States and other countries’ armed forces. Cooperation with the U.S. Government would ensure Lithuania the best conditions for procurement and maintenance of the L-ATVs. «At the Defence Resource Council session held in the end of last we week we recognised the L-ATV as the best efficiency-price ratio and decided to open negotiations on procurement of these armoured all-terrain vehicles», Minister of National Defence Raimundas Karoblis commented on the MoD Defence Resource Council. Combat support multirole armoured ATVs will supplement and update the fleet of this type of vehicles and will be distributed across the Lithuanian Armed Forces. The least of 200 Light Combat Tactical All-terrain Vehicles is planned to be procured, while delivery times and price will depend on the contract (however, 2021 has been foreseen as the starting time for delivery). It was decided to begin the acquisition project relatively early because the procedure may take up to 2 years while the ATVs are an important element of the army mechanisation (also including the acquisition of Vilkas/Boxer Infantry Fighting Vehicles. 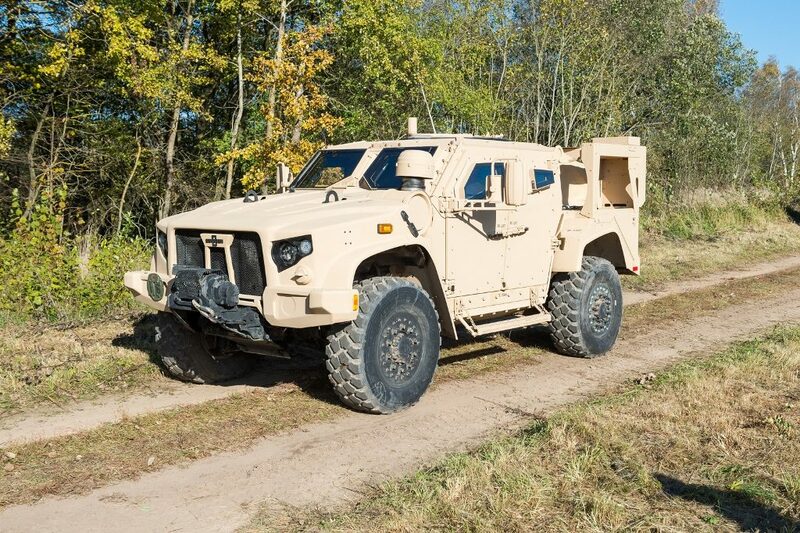 «Having taken into account potential threats and deployment rates of such vehicles both for national defence and to multinational operations, the Lithuanian Armed Forces identified a shortage of armoured ATVs. The shortage is the result of normal wear-and-tear of the present ATV fleet and also of the increased demand because of the armed forces enlargement», Minister of National Defence R. Karoblis said. When the project was launched, first, information on the ATVs of the relevant type on the market was collected. Then, 9 models were selected according to such criteria as efficiency, compatibility, maintenance, etc. They were tested for capacity and functionality in practice and additional technical information was collected. When all the data was evaluated, it was decided that the U.S.-made L-ATV matched the criteria best. Representatives of Oshkosh Defense provided a demonstration of L-ATV capacity at the Lithuanian Armed Forces Gaižiūnai Training Area for experts of the Lithuanian Armed Forces and other countries’ armed forces in October 2016. Other manufacturers presented their production in Lithuania as well. Eagle (General Dynamics European Land System) and LAPV (Daimler AG) armoured ATVs were demonstrated in Lithuania in 2017. Currently the Lithuanian Armed Forces use HMMWV and Toyota Land Cruiser 200 armoured all-terrain vehicles. The L-ATV manufactured by the highly experienced Oshkosh Defense won the contract for 55,000 ATVs for the U.S. Armed Forces. L-ATVs should replace part of the HMMWVs used by the U.S. Armed Forces since 1984. The Government of the United Kingdom also took a decision to buy L-ATVs for the Her Majesty’s Armed Forces.